Red Lake in the winter. The Red Lake (Lacu Rosu) is a natural storage dam lake and is situated at the foot of Hasmasu Mare Mountains, somewhere near the town Gheorgheni. 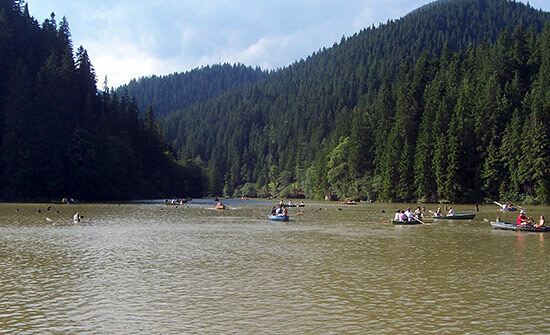 It is the largest natural mountain lake in Romania, its name coming from the reddish alluvia (iron oxides and iron hydroxides) deposited in the lake by the Red Creek. During Ceausescu’s reign, these two wonders were compulsory tourist destinations for the ones who wanted to spend their vacations in the mountains. The lake seems dark and threatening, the stumps that come out of the water makes you think that a lacustrian civilization met their fate just a few years before you pass by. Flocks of ducks just fly around you if you decide to venture into sailing a boat. This is a strong reason for which you should row your boat for almost 10 minutes in a contest along with the ducks. If you get too far away from the shore, you can see what’s left from this “civilization”. The Red Lake was formed not too long ago, someday in July 1837, when after many storms in a row, a huge piece of stone separated from The Killer Mountain and blocked the Licas Creek, Oii Creek and the Red Creek. 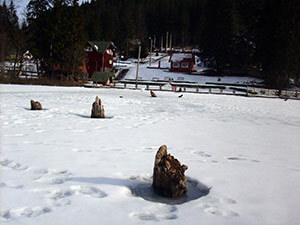 The only “witnesses” of this natural calamity are the spruce fir stumps that still remained in the water. Because of the fact that the Suhardu Mic Mountain had a purple reflection in the lake and of the reddish limy alluvia brought by the Red Creek, the shepherds decided to call it The Red Lake (Lacu Rosu). Only in 1857, three tourists from Gheorgheni rested on its shores and they were amazed by the wild beauty of the mountain landscape. So therefore they spread the word that they discovered a piece of paradise. Since then, many tourists have been visiting this area, being attracted by the natural beauty of the lake and by the riches of the fauna and flora. In 1910, the road from Gheorgheni to Lacu Rosu started to be built (it was built in fact only till the place called “Gatul Iadului), and it was finished in 1937. In other words, this road connected actually Transylvania and Moldavia. 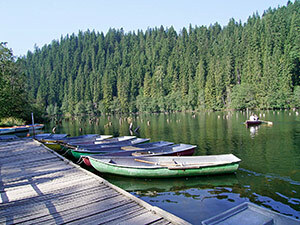 The surroundings of the lake present a very rich fauna and flora. The coniferous forests are mixed with nut forests and the mountain willow. What the flora is concerned, one can see white pine trees, sycamore maple and poplar trees. The animals that live in the area are the following: the lynx, the chamois, wolves, stags and wild boars. Downstream the Red Lake, you can see the Bicaz Canyon, which is dug by the Bicaz river waters and serves as a passageway between Transylvania and Moldavia. It is 8 km long until it reaches the village called Bicazul Ardelean. The Bicaz Canyon is part of the National Park “Bicaz Canyon”, which includes actually the following protected areas: The Red Lake, The Bicaz Canyon and The Hasmasu Mare Mountain. The road inside this canyon looks like serpentine windings. The limy walls of the crags hide amazing caves (The Black Cave and The Waterfall Cave) and also circular precipices (Licas, the precipice with three entrances). Along this way, one may find bazaars where one can buy products made by the Romanian and Hungarian craftsmen from this area. 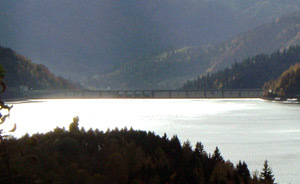 The “Izvorul Muntelui” barrier lake is the largest artificial lake in Romania. 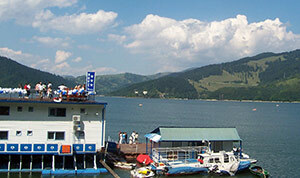 The “Izvorul Muntelui” barrier lake is another tourist attraction (it’s 35 km long on an area of 33 square meters.) 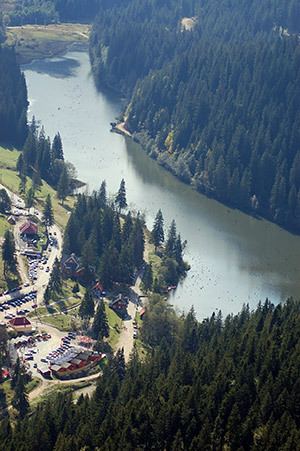 and it is also known as “The Bicaz Lake.” This is the largest artificial lake from Romania, being situated on the higher course of the river Bistrita. 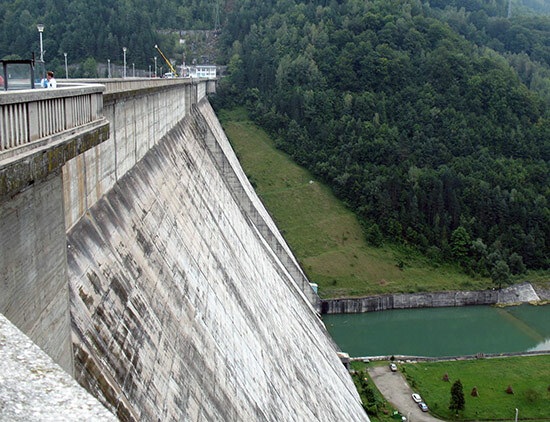 This place was formed as a result of the building of the Bicaz hydro-energetic dam, which is 127 m tall. (in order for it to be built, more than 170.000 cube meters were excavated). 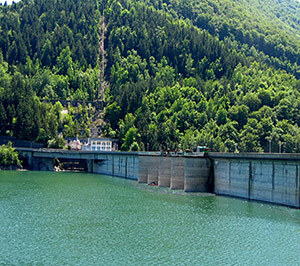 It is used to generate hydroelectricity at the Bicaz Stejaru hydro-plant. To achieve the construction of the Bicaz Dam nearly 20 villages had to be displaced. The works for the construction of the dam started in 1950, year that signified the approval of the electrification plan of the country. The costs have raised nearly 1, 7 billions lei and also have meant the loss of hundreds of people (they have died during the works). Many convicts worked here (most of them were political convicts that were specialists in the field), military men and brigadiers. For this project to be accomplished, nearly 20 villages had to be displaced. Two of them, Rapciunita and Carnei, had to be totally extinguished. More than 18000 inhabitants from nearly 2300 house-holds were moved to other places. 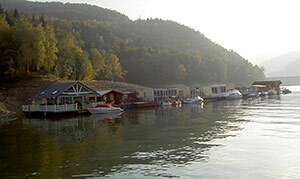 The Bicaz touristic port on the artificial lake Izvorul Muntelui. The Bicaz touristic port is a centre of great civilization, because of the recreation crafts that leave the port and the touristic stops in this area, especially near Izvorul Muntelui(Spring of the Mountain)-797 m in altitude. 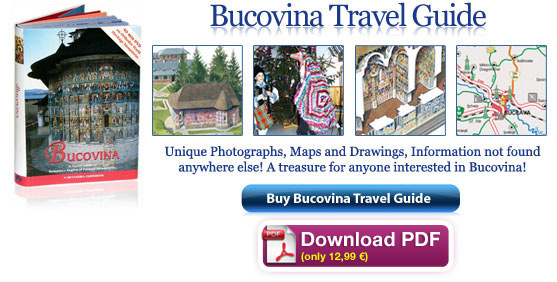 In Bicaz, one may visit a museum which holds exhibits that reveal the hydro-energetic buildings on the river Bistrita. The first legend says that in Lazarea there lived a very beautiful girl, called Estera. She went to Ghoergheni and there she met a handsome lad that was supposed to be even stronger than a bear. Once they saw each other, they fell in love. The lad asked this girl to be his wife, but they couldn’t get married because the boy had to go in the army. Since then, they girl kept waiting for him, she used to go with the pitcher at the well, she used to wait for him for hours and hours, hoping that the one whom she loved, would return. It was a Sunday afternoon when, while passing by near the well, she was seen by a thief that kidnapped her, taking her to the caves of the Suhardu Mic Mountain, where he used to live. He promised the girl that he would give her everything, as long as she would marry him, but she refused to do so. The thief lost his patience and wanted to marry her by force. Then Estera cried to the mountains for help. The rocks heard the girl’s lament and summoned a heavy storm. The rain destroyed everything in its way, and so the girl and the thief were killed when the rocks fell on them. After that, all the mountain waters gathered there, forming The Red Lake. (The Killer). The second legend says that on the meadow between the mountain slopes, there used to be the sheepfold, which was called the “Shepherds”. When the shepherds saw the storm approaching, they tried to run for cover, but when the killing mountain collapsed, it buried them alive together with their sheep. 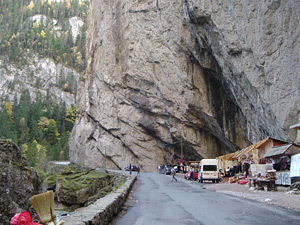 The access to The Red Lake can be made from Ghoergheni, by following the national road 12/C, which actually connects this town with Red Lake resort. Gheorgheni is situated on the route Brasov-Deda. 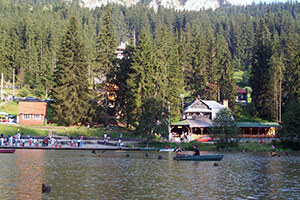 From Moldavia, one can get to the Red Lake, by proceeding from Piatra Neamt on the national road 12/C. The Red Lake lies 57 km away. From Moldavia, we can make it by train till the town Bicaz and then we can go to The Red Lake by bus. 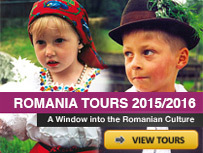 For the route Gheorgheni-Piatra Neamt there are two buses available daily. This area is also accessible from the locality Sindromic (22 km away) through Poaiana Tarcaului and Three Wells, but this route is not recommended to car rides. Another route to get to The Red Lake is from Tulghes, through Balaj pass and the village Telec, but this road is only recommended to bikers and traveling lovers. i whas in more like 60 countrys in the world and neamt is the best super nice absolut the top.